Home Health Listening Music while Running: Yay or Nay? 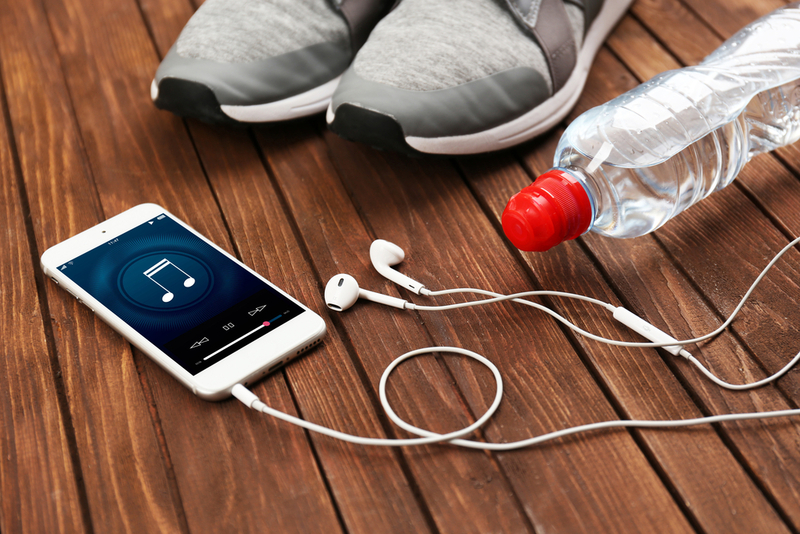 Listening Music while Running: Yay or Nay? It is very common to see people running (on treadmills or jogging tracks) with their earphones on. They put their MP3 player or cell phone in a special pocket that wraps around their arm or waist. While this may not seem to be a big deal, it’s still questionable whether music makes or breaks a workout. The fitness industry itself is divided. People who run with music blasting on their earphone feel that music can boost their energy and increase their performance. The more upbeat the music, the more energy they get. Genres like electronic dance music or rock are only some of the music they usually listen. However, some people think that it is very hard to listen to music without becoming distracted. So, what’s actually the deal about music while running? Music can sometimes make running feel easier. Studies find that music reduces your perception of how hard you are running by about 10 percent. An external stimulus such as music can actually block some of the internal stimuli trying to reach the brain, such as fatigue-related messages from muscles and organs. When these messages are blocked, this reduces a runner’s perception of effort, so you feel like you can run faster and further. In addition to that, the performance of runners depends on the type of music played. Slow-paced depressing songs could crimp your pace, and up-tempo, fast-paced motivating music can resonate with you positively. It also seems that listening to music can aid recovery from exercise. For example, in a 2012 study published in the Journal of Strength and Conditioning Research, 20 young active men performed strenuous six-minute runs at peak oxygen consumption speed, and spent a recovery period either with or without motivational music. The result suggested that listening to motivational music during recovery from intense exercise leads to increased activity, faster lactate clearance, and reduced rate of perceived exertion and therefore may be used by athletes in their effort to enhance recovery. One big problem is that listening to music can remove you from the other sounds that running produces, such as breathing and footstrike, which are essential cues. Running while listening to music also removes you from the environment you’re in, which can be unsafe, especially if you’re running in an open air. You may not hear a car or person approaching behind you. There’s more to it. If you like to run with music on, it is much likely that you prepare a playlist before tying up your shoelaces. When you preselect a soundtrack for your run, you are trying to tacitly control your experience. And in many cases, as mentioned above, pump-me-up music will get you through those painful final miles. But, in the other hand, so much of our music comes loaded with preconceived mental associations; we already know how a certain song is going to make us feel. How if your music player accidentally shuffle to that mellow music? Many people also argue that listening to music, or podcasts or audio books while running is a form of multitasking. It keeps you too plugged in and prevents you from enjoying the running experience. It is not impossible when you’re running and you’re suddenly immersed with the song playing on your ears, simply because it brings some memories to you. And bam, you forget that you have certain target to reach in your running session. Don’t wear noise cancelling headphones as they block out sound around you. You need to be aware of your surroundings when running. If you’ll be running at after dusk or before dawn it’s a good idea to wear running earphones with reflective material, so you are noticeable by people around you. Consider wearing on ear workout headphones. On ear workout headphones sit on top of the ear rather than in the ear, allowing the user to adjust the headphone in order to pick up some ambient noise, such as cars. Turning your volume up can drown out the sounds around you, so be sure not to turn your volume up too loud. It is also fine if you think that running without music is okay. The point is, you are still able to focus on your goals and have that spirit inside you, with or without your favorite music playing on your earphones.